Valencia is a feast for the senses. In another post, I displayed photos of the many stimulating scenes that gave me a feel for this vibrant historical city. The city of Valencia, and the once “Kingdom of Valencia” offer a rich, complex history with Valencia has one of the largest historical centers in Spain. Exploring Valencia from my adopted home town of Altea Spain made the drive to Valencia approximately one hour. Here are my top ten picks to see. Valencia was settled as a Roman colony in 138 BC on the strategic location of an island in the Turia River, which runs to the Mediterranean. The Turia River, which was subject to flooding the city, was diverted after a major flood in 1957, and the now-named Gardens of Turia river bed is a lengthy multi-use sunken garden with pathways, playground, gardens, fountains, athletic track, cafes, concert venue and more. Allow adequate time to meander through all or part of its nine kilometers. Toward the east end of the Gardens of Turia is the modern, architecturally astonishing City of Arts and Sciences, whose structures were inspired by animal skeletons. It houses an IMAX theatre, Europe’s largest aquarium, science museum, and opera house. 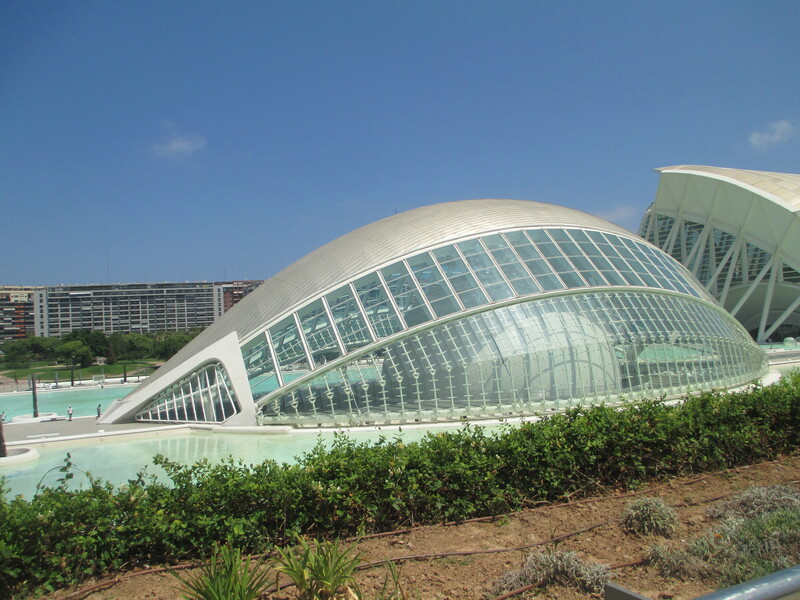 Valencia offers a whopping 45 museums, so do research the various sites to find ones (or none) that fit your interests. The iconic pentagon-shaped Gothic Torres de Serranos (Serrano Towers) were built starting in 1392, and are the last remaining vestiges of the defensive walls that surrounded Valencia. 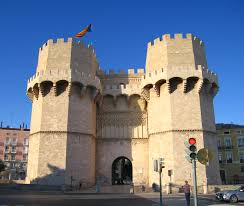 The Towers are the historical entry point into the Valencia’s old town city centre. A hike to the top affords the visitor interesting views of the historical interior, with the reward of a panoramic view of Valencia from the top. 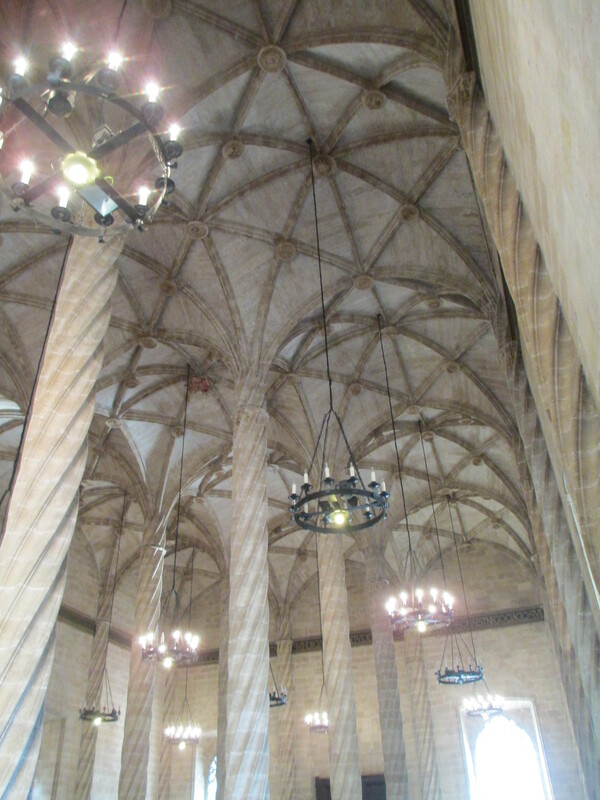 In the city centre is the Cathedral of Valencia, a 13th century church built on what were previously sites of an early religious temple and later an 8th century mosque. A chalice dating back to the first century is believed by many experts as the most probable chalice to be the true Holy Grail, used in the Last Supper. El Miguelete, the emblematic Gothic bell tower, next to the Cathedral, where there is another opportunity for spectacular vistas of the city, if you are willing to tackle the 207 step winding staircase. Seda, (the Silk Exchange) was built starting in 1482. This lavish and beautifully designed Gothic building is now a UNESCO World Heritage Site. Professional- and self-guided tours are available, as well as a free audiovisual 20 minute film about the site. 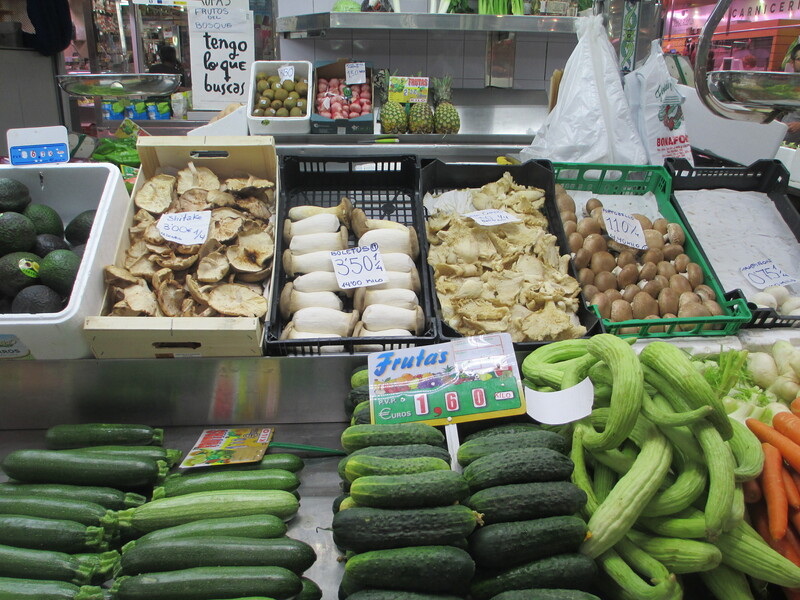 Near the Silk Exchange is The Mercado Central (Central Market). Built in 1914, it has one of Europe’s largest and oldest indoor markets, with a dizzying array of fresh produce, fish and seafood, many varieties of land animals, and some common regional foods, as well as rare items. It houses a popular indoor eatery, which offers creative dishes. Make sure to try some of Valencia’s unique dishes. “True” Paella traditionally consists of only a special local rice (typically bomba), green beans, rabbit or chicken, snails and saffron, although many other types are available. It is best when freshly prepared but does take about 30 minutes, well worth it. Or try the fideuá which is similar to paella, but made with small curved hollow noodles instead of rice. Horchata is a popular local drink made of sugar, water and tiger nuts, the tiger nuts being introduced by the Arabs during their occupation in the 8th to 13th centuries. As a die-hard music fan, I am always looking for great live music, which is plentiful in Valencia, especially in the historic Barrio del Carmen. 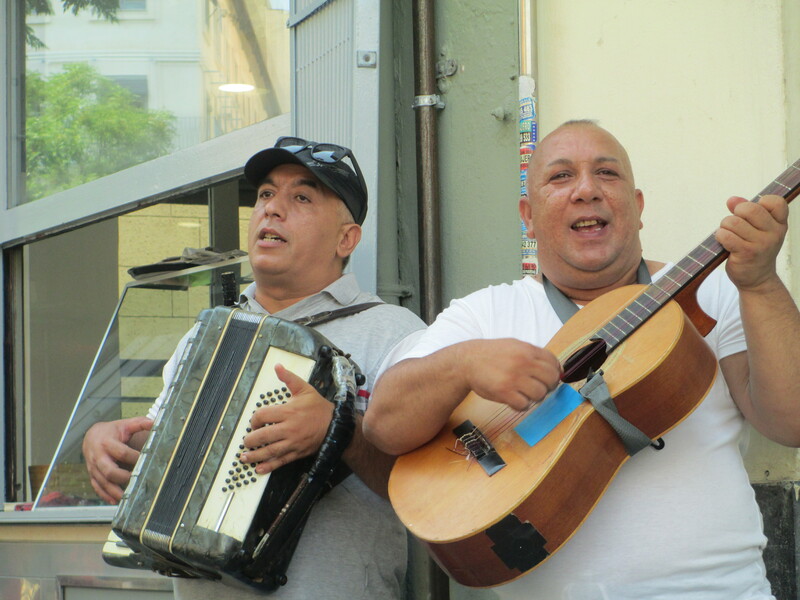 Head to Calle de Cabelleros (or Carrer de Cavallers, in the local dialect) for music in the bars and on the streets. (Keep in mind that both Castilian Spanish and regional Valenciana are spoken, so words may be different, but almost everyone speaks the more widely known Castillian Spanish.) In 2012, the Boston-based Berklee College of Music, widely respected as the best school for jazz, opened a campus in Valencia, and offer periodic performances. Check their website for a list of performances. Like every town in Spain, Valencia loves its festivals, the best known of these being Las Fallas. The five day festival in mid-March commemorating St. Joseph which has many components includes neighborhood groups making large, elaborate paper mâché satirical caricatures, which are set on fire accompanied by extremely loud fireworks. A number of the events feature locals in the traditional dress of Valencia, a spectacular cultural sight. However, the festival can be crowded, exceptionally noisy and overwhelming to some. You need to book lodging well in advance for this festival.